Patient identification has been identified by World Health Organization (WHO) as one of the key areas in healthcare where improvement is urgently needed. Incorrect identification of patients leads to 4% of all health damages caused in emergency rooms. 13% of incorrect surgeries have been due to patients being identified incorrectly. The figure stands at 67% for blood transfusions going wrong due to incorrect identification. This data clearly indicates the level to which healthcare services can be improved simply by correct identification of the patient along with his prior medical records. In this article we will look at what exactly do we mean by the term patient identification, types of incorrect patient identification, and the disadvantages of incorrect patient identification. We will then look at how biometrics can help in improving patient identification and the advantages it provides over existing patient identification processes being followed. The failure to correctly identify patients continues to result in medication errors, transfusion errors, testing errors, wrong person procedures, and the discharge of infants to the wrong families. Healthcare management systems have adopted computerization on a massive scale. Almost all healthcare providers maintain digital records for the outpatient and inpatient treatments they provide. Patient identification refers to the process of locating the medical records of a patient from the Master Patient Index (MPI) when he is checked-in to the hospital. Usually hospitals use multiple identifiers to correctly locate the patient. However, most of the hospitals follow a manual system of finding the correct MPI from the records. As a result, the patients end up getting identified incorrectly. Overlay and duplicate medical records: healthcare IT staffs often select incorrect record or make data entry mistakes. Overlays happen when the hospital staff identifies a patient as someone else. This happens when the name or some other personal identifier used for searching through the Master Patient Index exists for multiple patients records. In the absence of an absolute identifier, and often being pressed for time, the hospital staff moves forward with using a record which ‘they’ feel is correct. Overlays caused in this way lead to the affected patients’ medical histories getting mixed up. This can have serious implications on the admitted patient’s treatment and health. 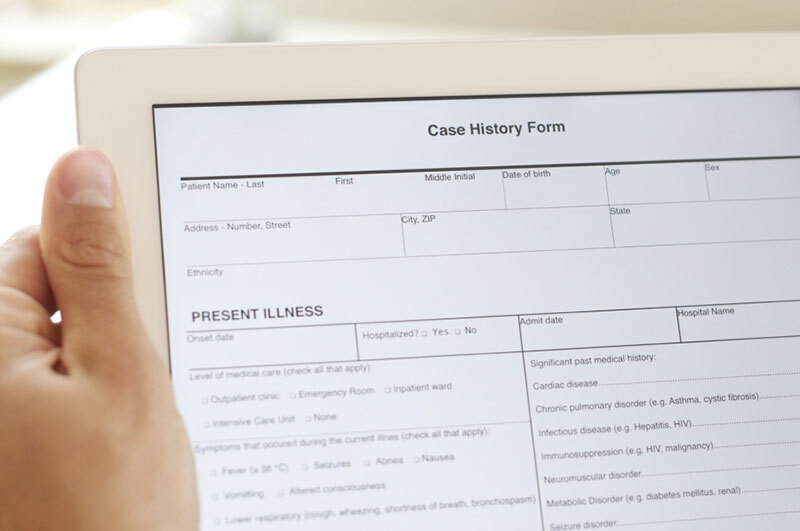 Duplicate patient records happen during the patient admission time. If the admitting staff member is unable to locate the patient’s entry in Master Patient Index, then he assumes that the patient is a first time visitor. The staff member ends up creating new record for the patient. Thus, in effect, the hospital then starts maintaining two records for the same patient. Performing the wrong medical procedure on the patient due to incorrect patient medical records referred. Revenue losses as some procedures or tests may be repeated if the wrong medical record is picked for a patient. The cost of the redundant tests will not be covered by the insurance provider and will need to be borne by the hospital itself. Reduced productivity, patient’s records which have been affected by overlays or duplicity result in more work in record keeping. Right from hospital administration staff to the insurance providers need to put in more effort which reduces their productivity. Cleaning up the Master Patient Index can prove to be quite costly for the health care provider. The costs associated with removing the duplicate records from MPI can have a significant impact on the bottom-line of the healthcare provider. With so many risks associated with incorrect patient identification, it is important that a fool proof system be set in place to identify the correct patient with pinpoint accuracy. Biometrics-based authentication systems offer patient identification with exactly the desired levels of speed and accuracy. Biometric refers to a biological measurable characteristic. Fingerprints, iris structures, retinal patterns, gait, face recognition and so on are all biometrics. These all have well-established scientific measurement standards, based on which digital biometric authentication systems have been developed. Biometric patient identification ensures the right patient receives the right care and prevent medical identity theft. Patient presents himself for biometric authentication. His biometric such as fingerprints or iris structure is scanned. This scanned biometric is then analysed digitally and converted to its equivalent biometric template. The biometric template obtained in step 1 is checked for a match against all the patient records in the MPI. If a match is found, then the patient is mapped to his existing record in the database and treatment begins. If step 2 doesn’t result in a match being found for the patient in the MPI, then the patient is identified for enrollment. All of his details such as name, date of birth, address etc. are captured. Along with these details, his biometric template created in step 1 is also stored in the database. The patient is subsequently admitted for treatment. Biometrics offers unmatched accuracy. The whole process from capture to authentication is digitized. There is no human element of error involved in matching the scanned biometric of a new patient against the stored records and is fully automated. This results in high accuracy. Overlays and duplicate medical records cannot happen with biometric patient identification. Biometrics technologies such iris recognition, fingerprint matching etc., have evolved to very high standards. The False Acceptance Ratio(FAR) and False Rejection Ratio(FRR) occur at very low and insignificant levels. The results of matching against the database are consistent and reliable. Automatic scans and high-speed matching leads to quick authentication in a few seconds. This is a major improvement over manually going through all the MPI records with similar data and trying to identify the correct one. The process of patient enrollment and admission becomes fast and hassle free as a simple biometric scan is all it takes to identify and admit a patient. Biometric patient identification eliminates medical identity thefts. Instances of medical identity thefts have caused huge financial losses to patients and healthcare providers alike. There are certain stringent HIPAA standards around the same. The topic of Medical Identity Thefts and safeguarding of patient medical records has been covered in a separate article here (link to the next article). In this article we looked at what is patient identification, what are the types of incorrect patient identification and what are the adverse effects of incorrect patient identification. We then looked at biometric patient identification and the advantages it provides in terms of accurate patient identification, speed, accuracy, reliability, streamlining of admissions process and security of patients’ records. Biometric patient identification is thus the way ahead for medical healthcare systems.